Reminiscent of the animated film, Small Foot, released in 2018, Missing Link stars Zach Galifianakis, who is the voice of Mr. Link – a hairy creature who also goes by the name, Susan. 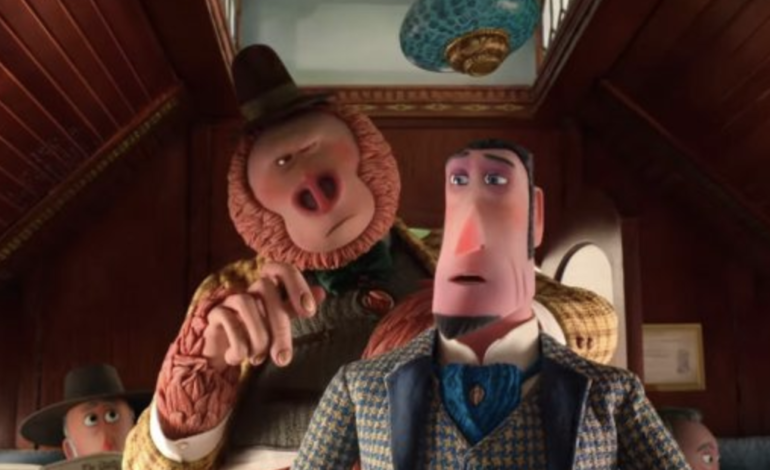 In the second trailer for the film, Mr. Link crosses paths with Sir Lionel Frost, an explorer traveling through the Pacific Northwest. Mr. Link asks for Frost’s help in finding his relatives. Together, they trek through a diverse range of landscapes and scenery in order to find Shangri-La, which draws on the imaginative place created by the author, James Hilton. During their adventure, they also meet Adelina Fortnight, who is voiced by Zoe Saldana, and joins them on their quest. This colorful film was made by Laika, an animation studio specializing in stop-motion animation. They were the creators behind the films Coraline, ParaNorman, and Kubo and the Two Strings. The film required 110 sets and 65 different locations for visuals of the duos’ varied travels, according to Polygon. This makes the film the biggest feature for the studio. The cast of voices will also include Emma Thompson, Matt Lucas, Stephen Fry, and Timothy Olyphant. The film will be in domestic theaters by April 12. Watch the trailer below.